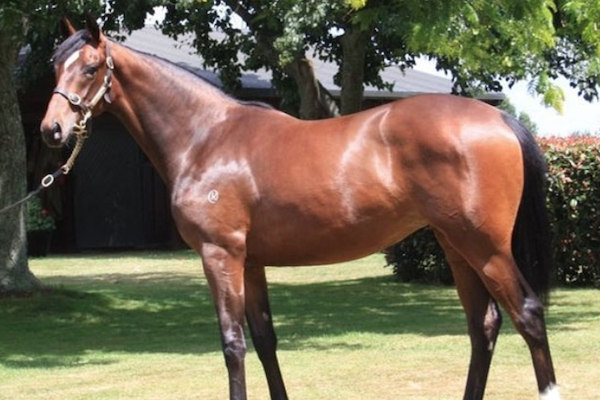 TAVISTOCK (NZ) (Bay 2005-Stud 2010). 6 wins-1 at 2, Waikato Draught Sprint, Gr.1. Champion Sire in Hong Kong in 2015-16. Sire of 145 rnrs, 91 wnrs, 11 SW, inc. Tarzino (Victoria Derby, Gr.1), Volkstok'n'barrell, Werther, Tavago, Hasselhoof, Avisto, Nymph Monte, Infantry, Longchamp, Tavy, Titanium, SP Harlow Gold, Downton Abbey, Fire Jet, Diamond Valores - Vadarian Bullet (H.K. ), Imperial Lass, Stylish Attack, Bullish Stock, etc. Amber Rayne (f. by Tavistock). 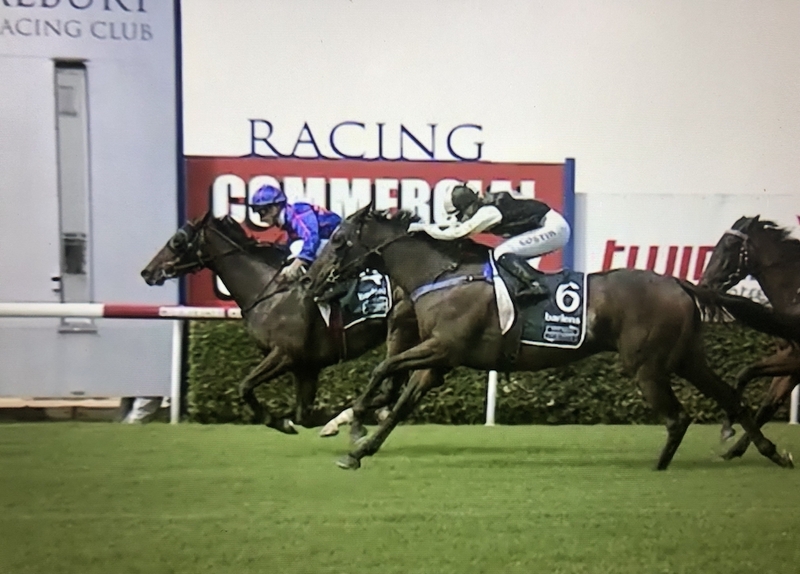 2 wins-1 at 2-at 1000m, 1200m to 2015-16, 2d Rotorua RC New Zealand Bloodstock Insurance Pearl Series H.-twice, 3d ARC Bestaff S., BNZ Partners H., Rotorua RC New Zealand Bloodstock Insurance Pearl Series H.
Surfin' Safari (c. by Footstepsinthesand). Winner at 2, 2d Rome Premio Philyra. Show Myla (f. by Show a Heart). Placed in Aust. Unscrupulous. 3 wins at 7f, 1m, Newmarket Ryan Bloor H., Royal Ascot Buckingham Palace H., 2d Goodwood Sun-X UK Leaderboard Sports S., 3d Doncaster Alfea San Rossore H., Newmarket Play at Breckland Bingo Thetford S.
Lindop. 2 wins at 1m, 16½f, Newbury Kiwi Mike Stag Do S.
Hatch. 5 wins from 6½f to 8½f in GB and U.S.A.
Fantasy Fry. 3 wins-1 at 2-to 7f in GB. French Fantasy. 3 wins at 900m, 1350m in Norway. Leading Role. 2 wins-1 at 2-at 5½f, 7f in GB and Canada. Producer. Fantasy King. 6 wins from 1¾m to 17½f to 2016, Leopardstown Sandyford S., 2d Curragh Irish Field H.
Dominant Fellow (Dehere). 4 wins-3 at 2-at 1000m, 1200m in Sweden, Taby Svealandlöpning, 3d Jägersro Sprint, L, Norsk 2000 Guineas, Ovrevoll Tattersalls Norsk Kriterium, Jagersro Malmö Stads Pris. Chantaco. 7 wins-1 at 2-from 7f to 17f, Doncaster Audi Wheatley Hall Road H., Redcar Zetland Gold Cup, 2d Newmarket Stanjamesuk.com H., 3d Goodwood Harvest H., Newbury Dubai Duty Free Millennium Millionaire H.
Familliarity (Nayef). 2 wins at 9f, 10¼f, 3d Pontefract Castle S., L.
SPEEDY BOARDING (Shamardal). 5 wins from 2000m to 2100m, £176,805, €458,760, to 2016, Chantilly Prix de l'Opera, Gr.1, Deauville Prix Jean Romanet, Gr.1, Saint-Cloud Prix Corrida, Gr.2, Newbury Lord Weinstock Memorial S., L, 2d Ascot British Champions Fillies & Mares S., Gr.1, Yarmouth John Musker S., L, 4th York Middleton S., Gr.2. DASH TO THE TOP (Montjeu). 2 wins-1 at 2-at 1m, 10¼f, £101,645, €23,475, Newcastle Hoppings S., L, 2d Yorkshire Oaks, Gr.1, 3d Ascot Fillies Mile, Gr.1, 4th Longchamp Prix Vermeille, Gr.1. Producer. KISSOGRAM (Caerleon). 3 wins at 1m, 1¼m, Newmarket Sun Chariot S., Gr.2, Sandown Atalanta S., L, 4th Goodwood Nassau S., Gr.1, Nassau S., Gr.2, Sandown Brigadier Gerard S., Gr.3. Producer. FASTEST FINGER (Holy Roman Emperor). 4 wins from 1200m to 1600m in India, Hyderabad Golconda Two Thousand Guineas, L, 2d Hyderabad Alcock Arabian Million, L, 3d Hyderabad Deccan Colts Championship S., L.